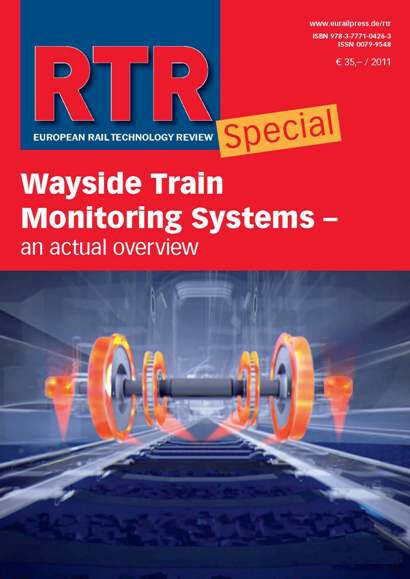 This latest RTR Special provides a general overview of the latest developments in wayside train monitoring systems (WTMS) and the variety of technology now in daily use or about to enter the market. The book reflects the fact that the technical equipment is only a part of an overall implementation strategy, which must also consider operational processes, the use of monitored data to enhance vehicle maintenance regimes, and the procedures to be followed in the event of any incident. The first two chapters provide an example of the potential demand for WTMS from infrastructure managers and focus on the safety requirements which should be applied. A concept for Wayside Train Monitoring at Serbian Railways – the Batajnica pilot project Using the Best Practice-Risk method to estimate safety requirements for Wayside Train Monitoring Systems The following chapters look at examples of wayside train monitoring technologies such as hot box detection systems, dynamic weighing and wheel flat detectors. Hot box detection on European rail networks Gotcha: Using real-time data from wayside monitoring systems to optimise life-cycle costs Argos – Intelligent local measurement stations for continuous monitoring of vehicle condition Profile and antenna detection systems at Heustrich TCCS – Train Conformity Check System Fire & chemistry indication Networked WTMS at SBB The final chapter focuses on networking functionality, taking as a case study the use of CheckPoints for operations control in Saudi Arabia.